Dropped her off to be groomed and she was so afraid of another dog that was in a kennel next to her that she peed all over herself and then refused to let anyone touch her. So they called me back before I even made it out of the store to pick her up because it was clear they were not going to be able to work with her after that! Needless to say she had no problem hopping into my lap covered in her own pee! Gotta love her! Posted July 28th, 2015 . Poor baby. 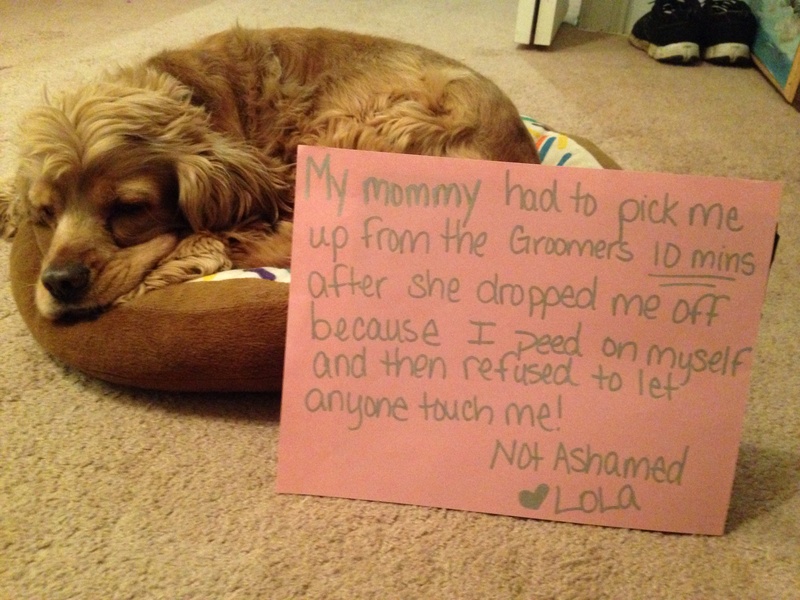 Groomer should have moved the other dog away.